‘Hurry up guys, we are getting late’ the office resonated with these words on Saturday 27 February as we were leaving for Grand River South East for our awareness campaign on the importance of mangroves and for a beach clean-up campaign in the region. It was half past eight, and we were all busy with the last packing arrangements. With the tools and information pamphlets on mangroves in our bags and, with our zeal and enthusiasm to make a difference in our coastal regions, we left for GRSE. The plan for the day was as follows: educate the local inhabitants on the importance of mangroves, carry out a beach cleanup campaign and do a follow up visit on the site, in collaboration with Rogers Group, we planted 300 mangrove propagules April last. Once at Laguna Resort, we could see the inhabitants milling around and the fishermen working. While talking with one of them, I found out about the great decrease in the catch and how the fishing trade has actually turned out to be a difficult one.After a series of answers and questions, the latter got to know about how mangroves were involved in the marine ecosystem and that mangroves are homes to a plethora of marine animals. On that day we were in the streets of GRSE to talk to the inhabitants on the importance of protecting the mangroves. What was more encouraging was that they were receptive to our pieces of advice and pledged to collaborate with us for a more sustainable Mauritius. We then proceeded to the back of Laguna resort where we replanted propagules which had been washed ashore and carried out a beach clean-up. Plastic bottles, plastic bags, metal cans, all were picked up and collected. The president of the village, Mr Pepin came to lend us a helping hand to replant the propagules and for the beach clean-up. 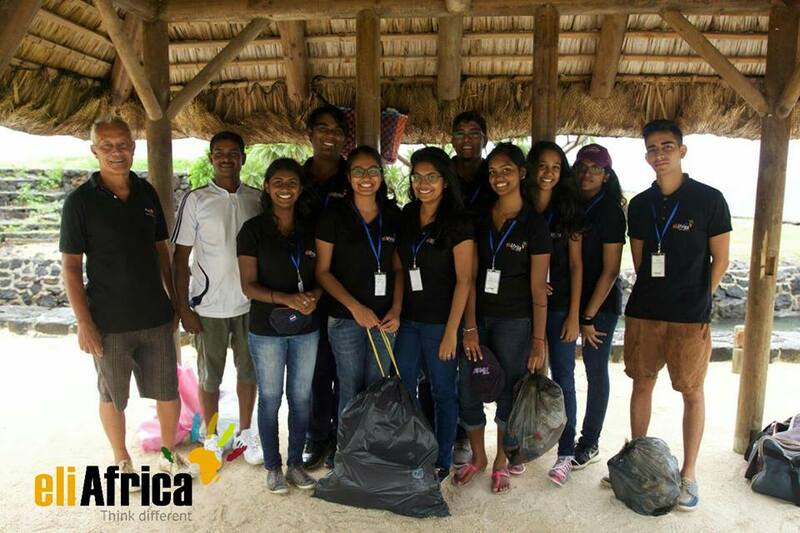 Due to heavy rainfall, we had to stop our activity for the day but we were proud for having spent a Saturday for a better Mauritius.